Is it Illegal to Park in Front of a Mailbox? Parking in front of a mailbox if perfectly legal as long as cars are allowed to park along the street in that area, and the city has not passed laws that make obstructing mailboxes illegal. This can be frustrating if someone is continuously blocking your mailbox since the U.S. Postal Service (USPS) allows mail carriers to skip mailboxes that are blocked by a car. Whether it's illegal to park in front of a mailbox depends on your city or county. Local governments make their own parking rules. It's up to an individual city or county to decide whether vehicles may park in front of or within a certain distance of a mailbox. The city of Portland, Oregon, for example, stops people from parking within a restricted postal zone, defined as 10 feet from a mailbox facing the street. 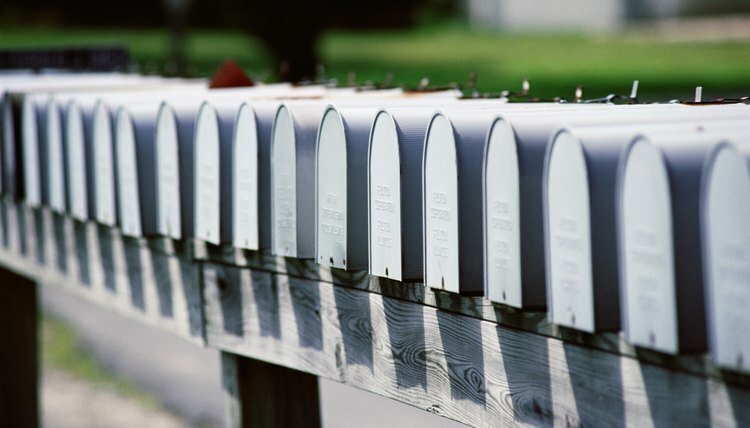 In San Jacinto, California, it's illegal to park within 10 feet of a mailbox between 8 a.m. and 7 p.m. except for the time it takes to deposit mail. Contact your city's parking division for local rules. 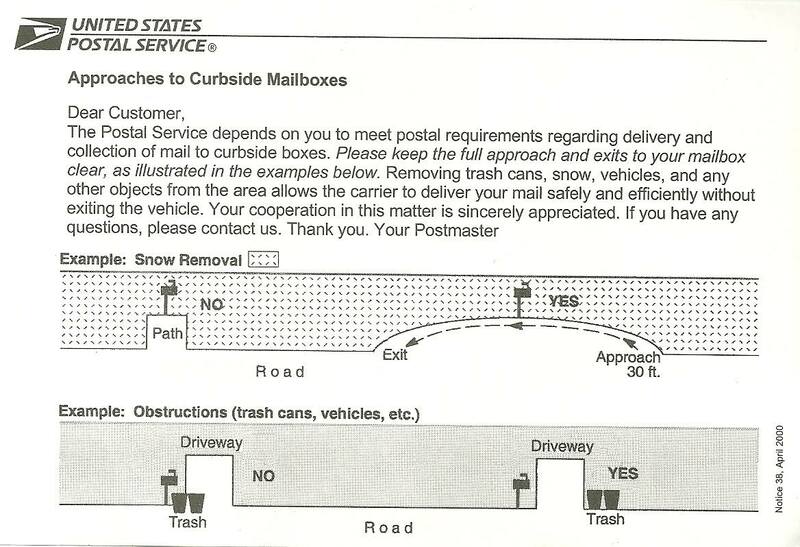 Regardless of local parking restrictions, USPS carriers are permitted to skip obstructed mailboxes. The carrier needs at least a clear 30-feet approach to deliver safely on a mounted route. From the post office's perspective, if a carrier had to exit the vehicle for every blocked mailbox, then the service would be inefficient, and customers would not get their deliveries on time. Where a USPS employee is repeatedly impeded in reaching a mailbox, the post office may withdraw delivery service. The customer is responsible for keeping the approach to his mailbox clear so the postal carrier can attempt delivery. In cities where parking in front of a mailbox is illegal, the city can issue parking citations or tow the offending vehicle. Some cities will mail you stickers to place on your mailbox which read, "Do Not Block Mailbox" or similar, or you can buy specially designated "No Parking" signs. These measures act as warnings to drivers not to park vehicles in the restricted delivery zone. When there are no parking restrictions and it's a public street, it's unlikely the driver is acting illegally. While frustrating, there's nothing "official" you can do to stop the inappropriate parking. As a self-help option, it's worth leaving a note on the vehicle letting the driver know about USPS' 30-feet clearance requirement, and politely asking him to park in a safer spot. Be sure to tell USPS that it's not your car blocking the mailbox so your postal carrier doesn't withhold your service. Thompson, Jayne. "Is it Illegal to Park in Front of a Mailbox?" , https://legalbeagle.com/5580004-illegal-park-front-mailbox.html. 09 December 2018. What Do "No Standing" Signs Mean?